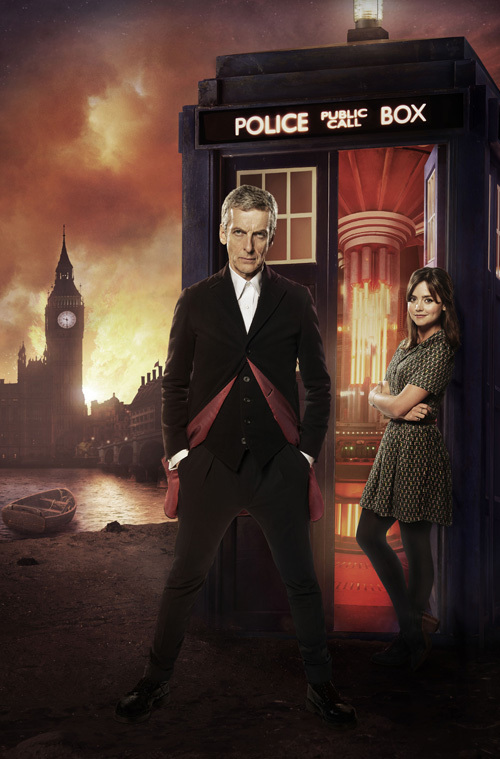 At 19.50 Greenwich time the new Doctor Who series with Peter Capaldi will be aired. Here in Italy an hour after because of Rome time, and I think I follow it. So no Saturday night go out, however maybe tomorrow very early I will go to Terni for another work session on Ferrum et Gloria editing. Some news about the last month that I didn’t put on these pages. Romics is the opportunity to buy comics and watch cosplayers. I went even this time with Andrea for the Spring edition. But I chose to go the afternoon, so we had less hours for our visit. It was the first day on the four days fair but a lot of people was around the same. More stands were present. My regret was the scarce time to do more things: time flew and I couldn’t took usual tons of photos and buy all what I thought. 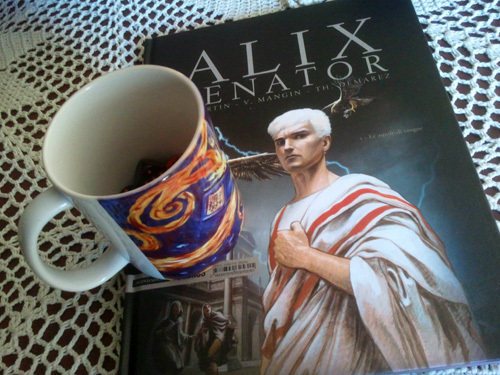 So only a DrWho mug for upcoming dices and a comic book about Roman times. 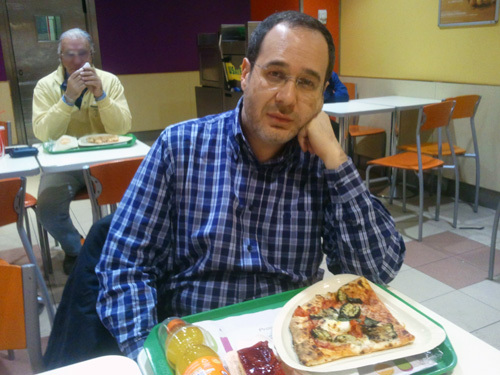 At the end a fast pizza at the station, waiting the last train to Terni for Andrea. 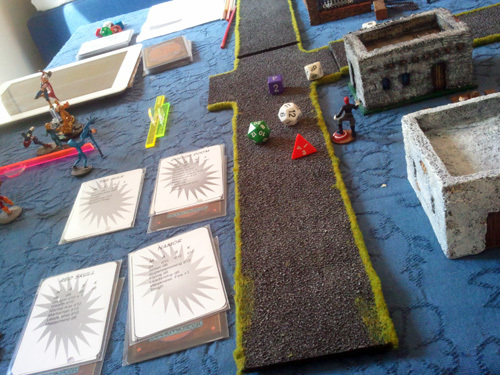 Another time Andrea came for a playtest session for Power Legion, the super heroes rules by Ganesha Games. We are working on them since some years but it wasn’t the right time for their publication because we were not so sure about the results. Even this time we changed some mechanics. After this session we found new ideas for a better gameplay. Andrea is writing the book just now. 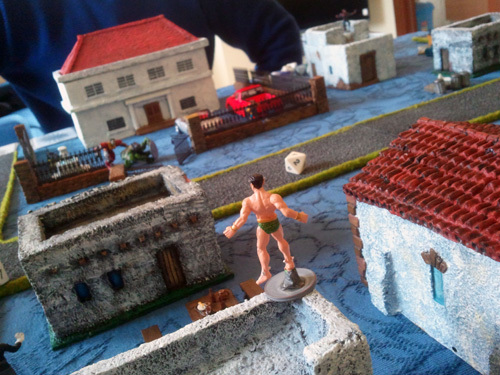 Do you remember what I said about the wargame convention in Canino? Diego broke his car, Andrea broke his car, I broke my car (one foot indeed). So no convention for us from Rome. After the give up of this year Hellana and Salute, respectively to health and money problems, even Canino. 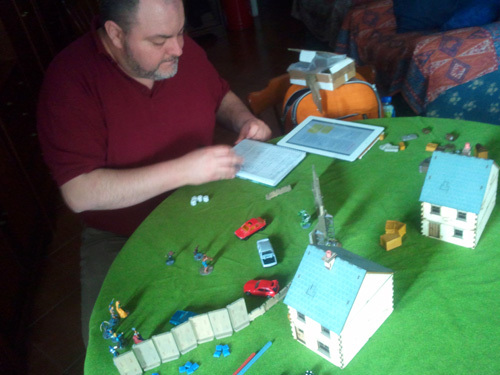 To resolve this sad situation, the day before we met with Andrea at Diego’s house, for a full playtest day on Power Legion rules. This time we had a half definitive written text, so we tried it with real slugfests. A true kitchen game, because Diego have to buy a green game mat! However we had games packed with flying cars, crashed buildings, powerful blasts and big bosses at large. A lot of notes were taken to refining the rules. Another playtest is scheduled in the following days. 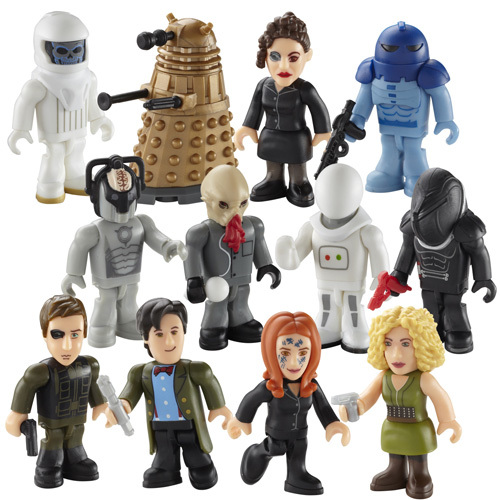 You can find every kind of Doctor Who toys. 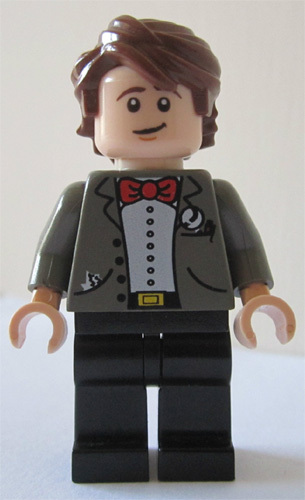 However until now we haven’t got a Lego version of our dear doctor. Sure, there is one made by Character Building. It is cool, but it is not the same thing. 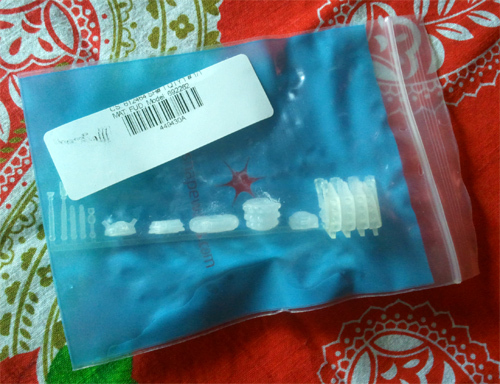 Why buy an imitated adaptation of Lego minifigs when you aspire to the real one? 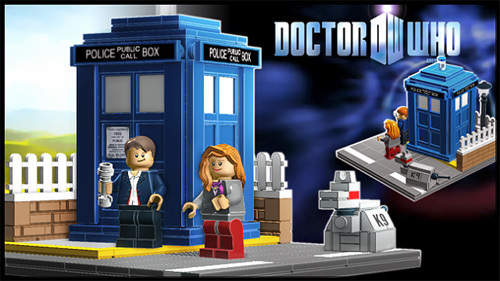 Now the license to produce Doctor Who toys is expired or changed, so Lego can build a real version of him with a proper license. I hope that there will be a real interest in it. Here there is a full world of characters to be proposed as minifigs. 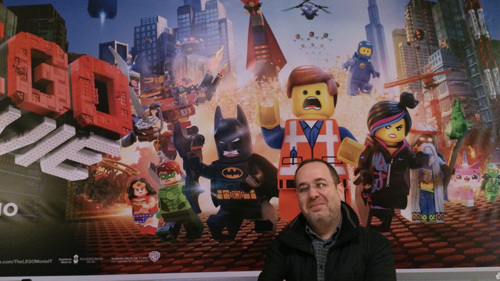 In the meantime I enjoyed very much the Lego Movie. I watched it in 3D and it was a real spectacle, maybe the best occidental animation film that I watched in these years. I found the plot very solid, interesting and fun. Spoiler: beware of the aliens from Planet Duplo! After only 2 months I came here to report the BIG event of 2013, the Lucca Comics and Games convention of 2013. In these days an official report by organisation gave the real numbers of the fair. They sold 217646 tickets. You have to add all the people that worked in the fair, as vendors for over 700 stands, volunteers that managed the masses of people, all the people involved in spectacles and events, press and all kinds of operators, citizens of Lucca and neighbouring. 40000 square metres of exposition area. To complete the numbers I can add that you could not find a room to sleep on all north-west Tuscany. During the 4 days I was in my area but I found some time early in the morning to watch the fair. Well, I reached to see all stands only one time, and no show, spectacle, event, film or exhibit. It was impossible, I could reach places only because I had a staff pass. In the next year they are thinking to expand the fair area because of the blocked streets of the city even for walkers and the long queues to enter in pavilions. So more Lucca C&G for 2014! And now my report. I have over 100 photos to post. It is difficult to manage all this so it will be a little jumble. 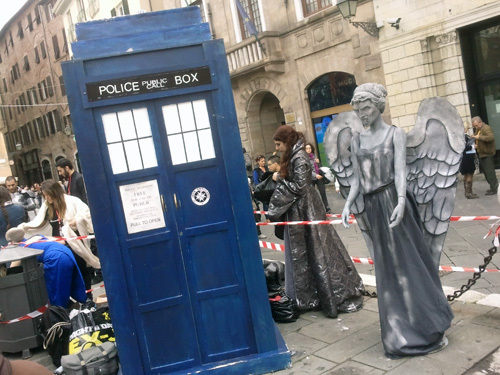 To start, a couple of photos about Doctor Who. Tonight will we watch the end of the 11th Doctor. Those days we were waiting for the 50th anniversary. A cosplayer meeting based on this saga was held. Huge numbers I heard. 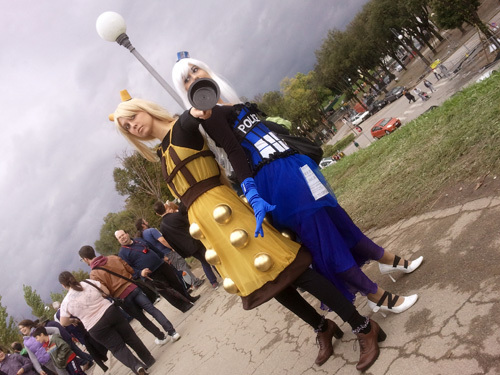 Yesterday was the Day of the Doctor. But what could be the Doctor without his companions? We have to remind them. I want to pay homage especially to the last one, Jenna-Louise Coleman, the girl that save the Doctor through the time. She is very cute, with a jaunty behaviour and a lovely little face. Well, there is something more than her face. I watched Dr Who when I was a child here in Italy, a dubbed version of the first series with Tom Baker. I was almost 5/6 years old and frightened by some scenes. But I liked the show very much. A lot of years after I finally found some dvds of the show, so I could watch that stories again. 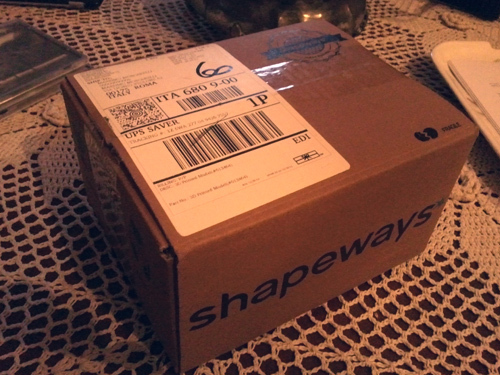 Then the revamp arrived and new stories are available. Time flies so the Dr Who is arrived to 50 years of broadcasting. 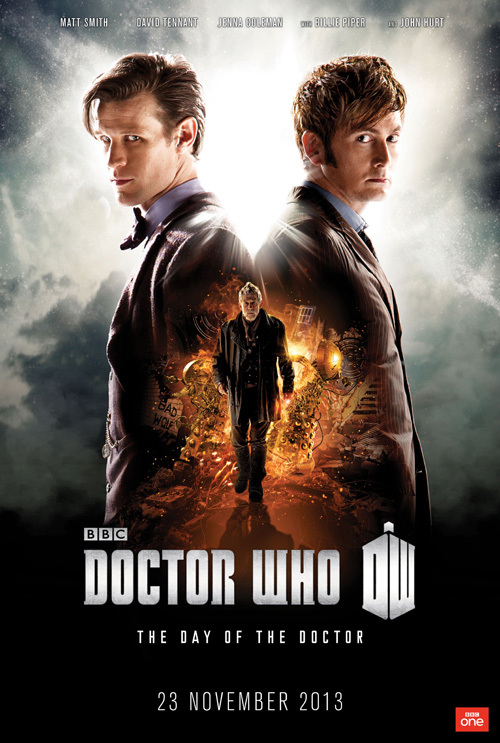 This evening we will know more about the war of Time Lords versus Daleks. And we will meet the mysterious unknown Doctor, the eight and half Doctor. At 19:50 Greenwich time. 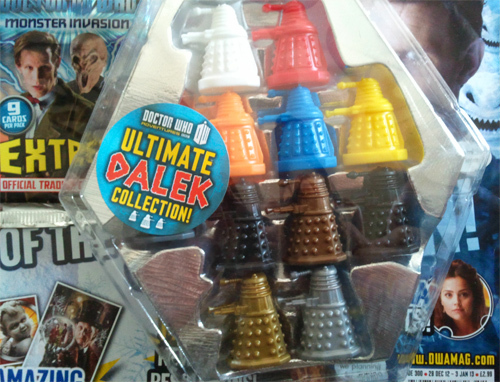 While we are waiting for the new part of the Doctor Who television series, I wish to show you some Daleks that I own. Thanks to Alessio and Emily that bought me this Doctor Who Adventures issue, I laid my hands on a plastic set with Daleks miniatures, incidentally in 28mm scale. These are from a children magazine that give away some Dr Who themed toys every week, and these Daleks set sold very well so they presented them for 3/4 times. The sculpt is not so fine and some details are fainted, the assembly sometime is a little approximative, but they are very cheap. Now I don’t remind exactly prices but as far I remind you can have got a box of Daleks for the price of a single Dalek from Shapeways. 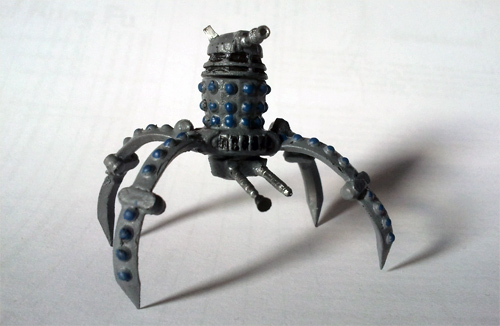 If you live in UK could built a large Dalek army with these miniatures. So I create a newDaleks squad with an official in black armour and five troopers in bronze and gold. I panted a black skullcap for them to add some contrast. I don’t like these pale metallic newDaleks so much, I prefer the classical design and strong coloured patterns. Moreover now they seem too much powerful and invincible too. Another new design in the set is for iDaleks (or “paradigmDaleks”) with their bright five colours. It is the revolutionary form for these pepper shaker aliens, with more soft lines. Since sixties we had a design that evolved principally through colour patterns so something new had to be added, even if Daleks are a national icon like double-deckers or telephone boxes. However was the time to say something new about Daleks. And now a parade of the various Daleks that I own. From left to right: renegadeDalek, imperialDalek, newDalek, iDalek, Spider Dalek. And this evening a new adventure on BBC with the Jenna-Louise Coleman mystery!